My Rating: Great Read, so educational! 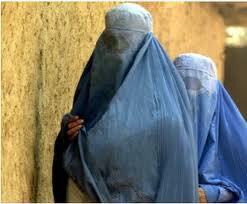 Synopsis: The life Kamila Sidiqi had known changed overnight when the Taliban seized control of the city of Kabul. After receiving a teaching degree during the civil war—a rare achievement for any Afghan woman—Kamila was subsequently banned from school and confined to her home. When her father and brother were forced to flee the city, Kamila became the sole breadwinner for her five siblings. 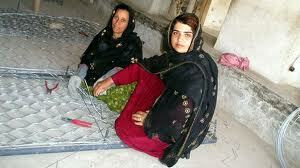 Armed only with grit and determination, she picked up a needle and thread and created a thriving business of her own. The Dressmaker of Khair Khana tells the incredible true story of this unlikely entrepreneur who mobilized her community under the Taliban. Former ABC News reporter Gayle Tzemach Lemmon spent years on the ground reporting Kamila's story, and the result is an unusually intimate and unsanitized look at the daily lives of women in Afghanistan. These women are not victims; they are the glue that holds families together; they are the backbone and the heart of their nation. Afghanistan's future remains uncertain as debates over withdrawal timelines dominate the news. The Dressmaker of Khair Khana moves beyond the headlines to transport you to an Afghanistan you have never seen before. This is a story of war, but it is also a story of sisterhood and resilience in the face of despair. Kamila Sidiqi's journey will inspire you, but it will also change the way you think about one of the most important political and humanitarian issues of our time. My Review: I want to first say, I am so thankful to live in the United States of America. I think books like The Dressmaker of Khair Khana should be required reading for all. I think it might put a new perspective on our own lives. I can't even imagine what Kamila, her sisters, and other just like them in Afghanistan have been through and continue to go through day after day. The Dressmaker of Khair Khana is written in a way that doesn't leave much to your imagination. This is a book that will stay with me for a very long time. 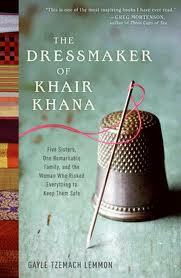 I recommend The Dressmaker of Khair Khana to young adults and adults. If you are a teacher, I would suggest that you put The Dressmaker of Khair Khana on your students' summer reading list. So much can be learned from this wonderful book. I am still letting so many differences "sink in." For example all the rules women must follow: wearing the chadri, not speaking to men, not being allowed to working or go to school, being home by curfew, etc. Also, I can't grasp the thought of the "enemy" roaming my streets and living in fear they may stop me, beat me, toss me in jail, just because I am a female. Even with all the shocking details of how Kamila and her family (and others just like her) had to live under such stress and fear, I still 100% recommend it to all. Keep in mind that The Dressmaker of Khair Khana is based on a true story and Kamila continues to help woman all over the world, not just in Afghanistan. 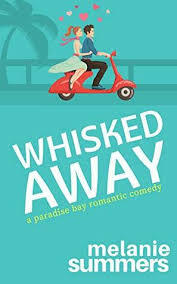 I am just speechless (typeless) on how to explain all the different emotions I had while reading this book. I am just so thankful that I don't know that "reality" and my own children don't have to live by those restrictions. My heart just hurts when I think of this. I am not sure what else I can, except, pick up The Dressmaker of Khair Khana and read it. You will not be sorry you did. Meet the Author: Gayle Tzemach Lemmon is a Fellow and Deputy Director of the Women and Foreign Policy Program at the Council on Foreign Relations. In 2004 she left ABC News to earn her MBA at Harvard, where she began writing about women entrepreneurs in conflict and post-conflict zones, including Afghanistan, Bosnia, and Rwanda. Her reporting on entrepreneurs in these countries has been published by the New York Times, Financial Times, International Herald Tribune, Christian Science Monitor, CNN.com, and the Daily Beast, as well as the World Bank and Harvard Business School. She lives in Los Angeles. Connect: You can connection with Gayle on her website, Facebook and Twitter. Purchase It: You can purchase The Dressmaker of Khair Khana at Amazon ($14.99 hardcopy; Kindle ebook $11.99) and Barnes & Noble ($12.98 paperback; Nook $11.99). TLC Book Tour Stops: You can check out all the other reviews on The Dressmaker of Khair Khana below. 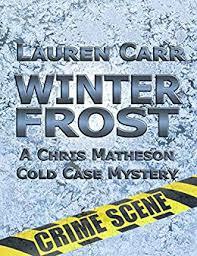 Thanks to TLC Book Tours for allowing me to be part of such an amazing blog tour. Monday, April 9th: Book Club Classics! I too am grateful that I'm not familiar with this reality. It sounds like this book would really open my eyes. Thanks for taking the time to read and review it for the tour. I'm featuring your review on TLC's Facebook page today. Congrats - Lots of Winners!